Our cabins are designed to have a rustic, mountainous appeal from the outside with modern, comfortable amenities on the inside including air conditioning. 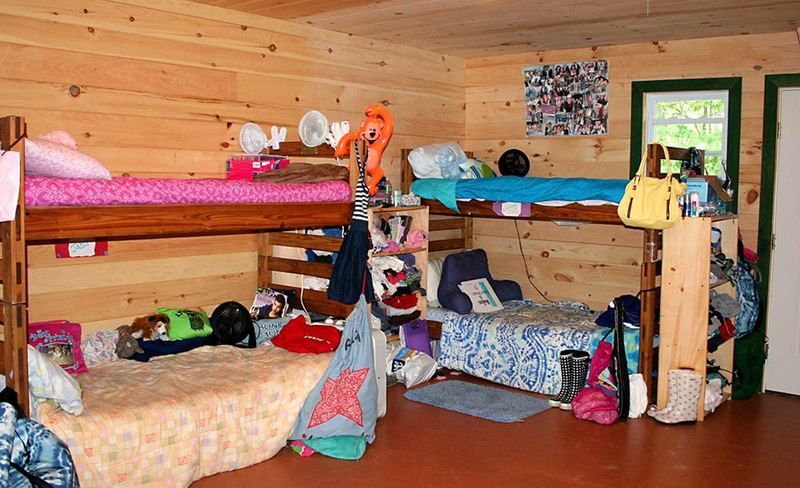 Each cabin is divided into two bunks that each hold 10-13 campers and 3 staff. All bunks have central air conditioning. Campers sleep on solid wood cot sized beds, with foam, vinyl covered mattresses. 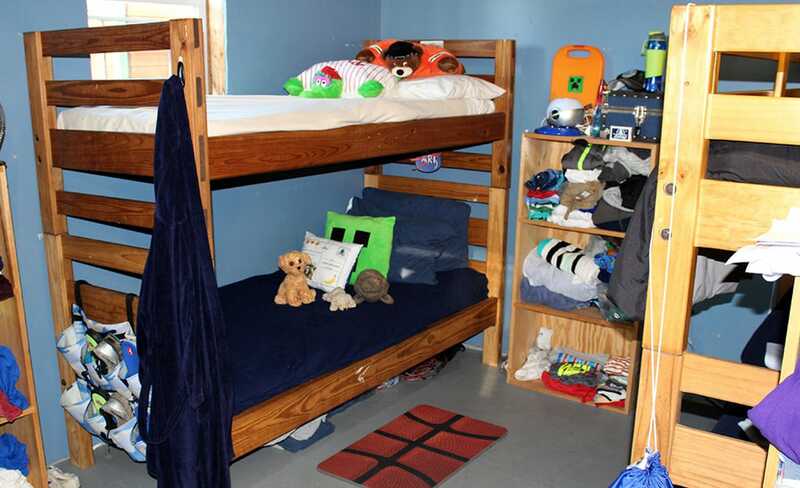 Campers get to choose whether they would like a top or bottom bunk. 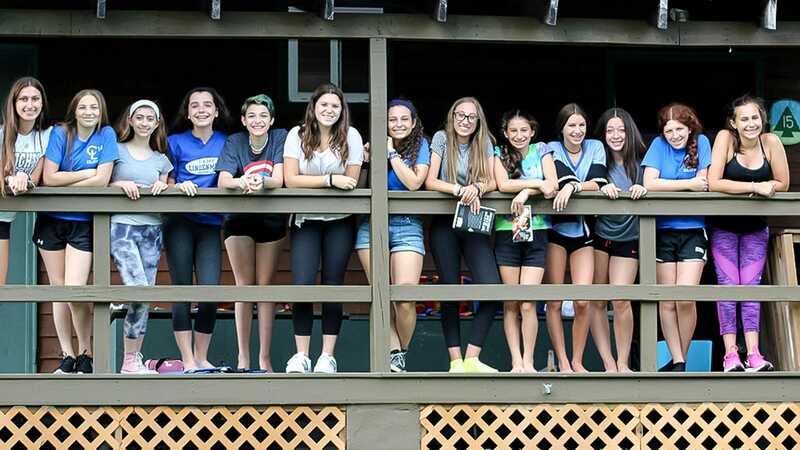 Each camper has their own cubby to store clothes and personal items. There is also shelving and hanging space throughout the cabins. Each bunk has its own bathroom with three individual shower stalls, two toilets, and two sinks. All bathrooms have been completely renovated and upgraded. Each cabin has ample electrical outlets to meet the personal needs of each camper. Laundry is done once per week. It is collected, washed, folded and delivered the next day.